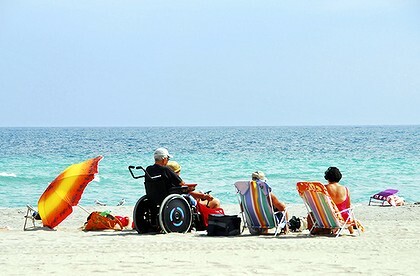 Mediterranean Beaches | Disabled Travel Can Still Be Amazing Travel – Here’s How! Disabled Travel Can Still Be Amazing Travel – Here’s How! A lot of travel sites don’t want to cover the subject of disabled travel, as if it’s something that we’re not supposed to talk about. However, the truth is that there are a lot of benefits to being able to travel anywhere you want to go with just a few modifications. We want to support everyone’s dream of being able to travel, and that means that we’re going to put together our best guide on getting into traveling even if you have a disability. We hope that it will empower everyone to realize that travel truly does belong to everyone. You don’t have to be special to travel — it’s all about making sure that you’re going to be able to get on the go when you want to do that. Good luck… and read on! First and foremost, planning is everything. One of the things that does separate disabled travel from traditional travel patterns is that you’re not going to be able to get all of those last minute deals. You’re going to have to plan in order to really make sure that you’re going to have your medications, any oxygen, and even a wheelchair. These are just not things that can be arranged at the last minute without a lot of work and stress. So what you have to ultimately do is be aware of what you actually need for your holiday, and then go from there. Most airlines do require at least a 5 day notice if you have oxygen needs on the flight. They will also need notification from your doctor as to how much oxygen you actually need. If you’re planning an international flight, you might not be able to get as long of oxygen time as you would doing a domestic flight. Again, since airline policies change so often, you’re going to need to ask them. You also want to make sure that you have any extra fees covered. Even though it’s unfair, the disabled traveler does carry along more freight than the average traveler. Even though it’s medically necessary, you may have to pay extra for this opportunity. Every operator is different, so you want to ask ahead of time. If you can afford it, going with a private house vs. a hotel may be a better fit for your travel plans. You usually get more room to move around and there are even ramps now that can assist you in getting a wheelchair into the house easily. Even if there isn’t a ramp, there are many houses without any tricky stairs to deal with. Definitely something to check into. If you want to go the traditional hotel route, you’ll find many wheelchair accessible hotels all over the world. As always, if you’re not sure if a venue will be able to accommodate you, try to hit up their website or give them a call. It’s better to make sure that you have a good place to stay rather than just assuming that everything will be all right. You should also take the time to look up where the hospitals and small clinics of an area will be. You just never know whether or not you’re going to need them and it really is better to be safe than sorry. You can definitely have the vacation of your life as long as you’re willing to really think about where to go, what to do, and how to stay safe. Take a long a trusted friend if you’re worried about having trouble. That way you know that you have a voice that will be able to speak for you throughout everything else. Start today, and you really won’t regret it! This entry was posted in General Travel and tagged Disabled Travel. Bookmark the permalink.